Miller Dynasty® 210 DX CPS is an advanced 210 amp AC/DC TIG welder that comes complete with a dedicated power receptacle for the Miller Coolmate™ 1.3 water cooler. It is capable of AC and DC pulsed TIG welding. It features extended AC TIG frequency controls and allows the operator to choose between four different advanced TIG arc waveforms. The Dynasty 210 DX CPS can weld up to 1/4 inch thick aluminum and 1/4 inch thick steel. The 210's inverter design makes this welder compact and lightweight (only 50 pounds). It comes complete with a memory card expansion slot for maximum flexibility and expand-ability. Miller's Autoline™ automatic input voltage sensing allows the Dynasty 210 DX CPS to be hooked up to 120 volt to 480 volt, single phase or three phase, input power without manual linking. The 210 DX CPS TIG welder offers full AC features, including advanced waveforms and wide ranges of balance and frequency controls. Will a Coolmate 1 work with this welder? 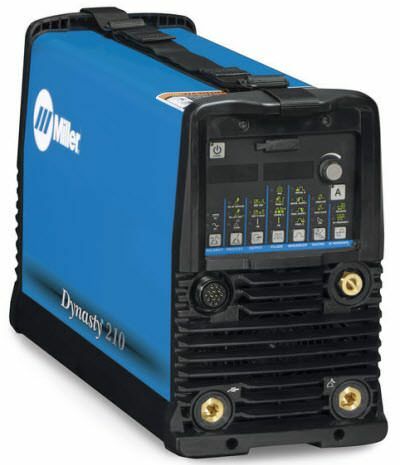 Miller Dynasty Miller Dynasty 210 DX CPS TIG Welder 907686002 will come with the CPS adapter for Dynasty and Maxstar TIG welders equipped with CPS (Cooler Power Supply) For models without the Cooler Power Supply (CPS), the Coolmate 1 must be powered through an external 120-volt facility power. Can I use a gas through TIG connector, like the Miller 50mm Dinse 194722 with this machine? I'm curious about the warranty does it start from the date it was built or the day of purchase? Who honors the warranty if my local repair place looks up the serial number and its past 3 years but I only purchased it 2 years ago? 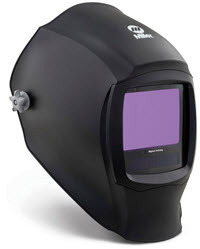 The Miller Dynasty 210 DX CPS TIG Welder 907686002 has a 3 year warranty. The warranty coverage starts at the date of purchase so it is extremely important to retain a copy of your purchase receipt. If you do not have a copy of your receipt and or you did not register you machine with Miller the service facility would be forced to work off of the date of manufacture as your warranty start date. The CPS model has the connector for the water cooling, but I am assuming that there are no problems just using gas cooling to start off with. Is that correct? I am not a professional welder, we have a farm and over the years have used our Miller Bobcat generator/welder, Miller Spectrum plasma cutter and Miller DVI MIG welder for many many projects and repairs. 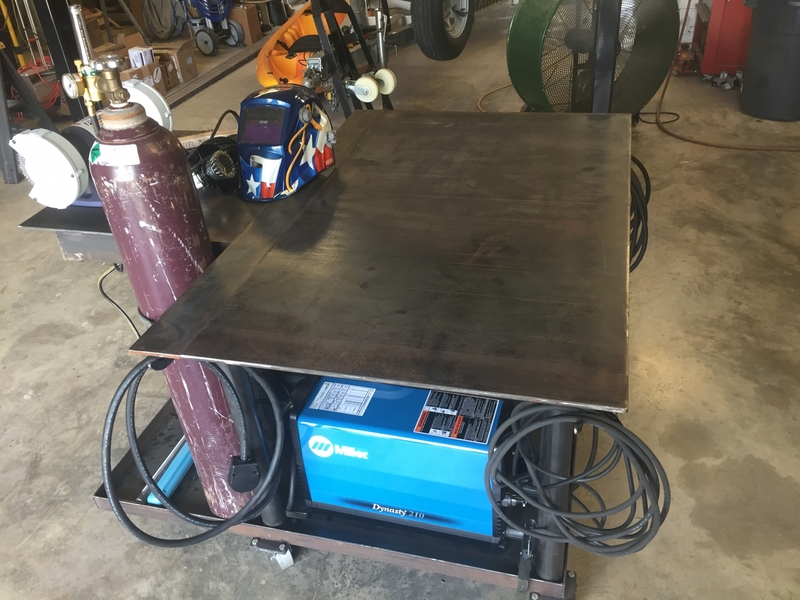 The plasma cutter and MIG welder were purchased through Cyberweld and their service has always been fast and efficient. Cyberweld was a pleasure to deal with on this purchase as well. Several years ago we got a great deal on a used Miller Maxstar 150 from a guy who had it set up for TIG to custom build stainless commercial cabinets. We used it mainly for a portable, light duty stick welder. My son grew up helping me and welding on high school Ag projects. Now taking college design courses, he developed an interest in TIG and soon outpaced the capabilities of the little Maxstar. We looked at the Diversion but wanted something that could also use to stick weld with a bit more muscle without having to fire up the Bobcat generator. Although we have barely scratched the surface the additional capabilities in the Dynasty are amazing! My son is home for the summer and has found an excuse to practice his TIG skills virtually every day. I used it yesterday to stick weld repair a crack in the bucket on our skid steer. So far we've had no complaints. It is the right balance of portability and power. We believe that this will be a very useful addition to our shop. ProsPowerful without being to heavy to move about easily. Multiple capabilities to meet virtually any of our conceivable needs. ConsThe instruction manual is a bit lean on the setup for those of us who are beginners but there are some good Youtube videos on this welder that help. None so far with the machine itself. The Dynasty (210) that I purchased works great. It's very similar to the Dynasty (200). Has a few more features and a little more muscle. Got a great price from Cyberweld also. ProsSimply a great little machine. Pleasure to work with, very quiet, the variable fan speed keeps this machine almost silent in low amperage welding and stops completely after cooling off. 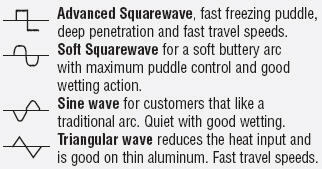 Complete control over the AC wave with multiple patterns. Very stable arc and easy starts at 5 amps and lower. Little pricey but it's the Rolls Royce of welders. This is literally just the welding machine, no torch, no controller, not even a receptacle for the power cord. ConsIt's not any cheaper... Might even be a bit more expensive than buying a "package"
Was very impressed with the speed of the shipping on ground delivery, came with no signs of damage which I greatly appreciate spending 3500 was a little nervous about shipping that's for sure. Great tracking and great customer service, looking forward to doing more business with you. ProsFast shipping, easy website layout and design makes for easy shopping, a great selection of miller products and otherwise welding supply's.